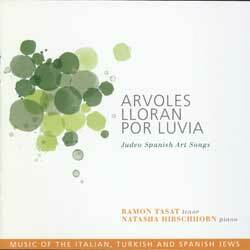 Notes This album highlights traditional Ladino songs originating in Italy, Turkey, and the Balkan area. Included are songs composed by Manuel García Morante (Balkan) and Alberto Hemsi (Turkish). The album also contains the first known recordings of Italian violin virtuso Federico Consolo's compositions.